While caramels are a worthy indulgence any season of the year, they seem to go especially well with fall weather. 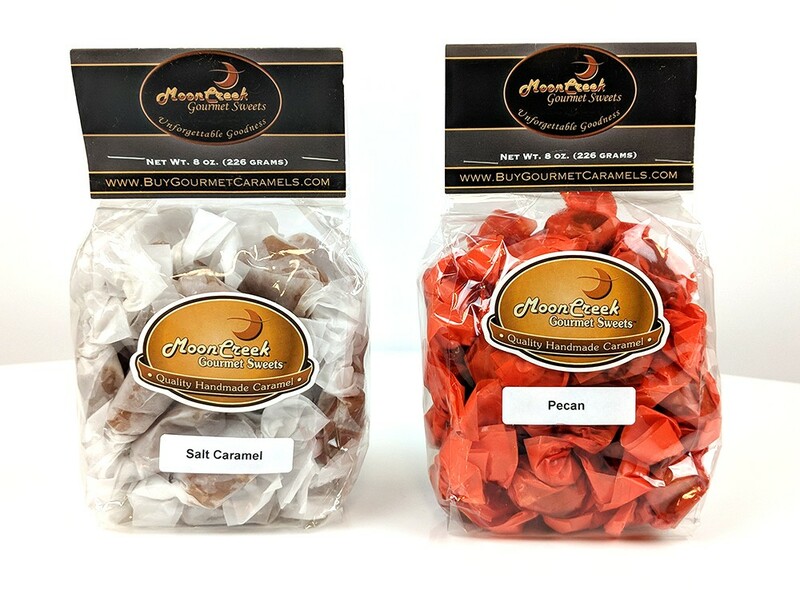 A little stash of Moon Creek Gourmet Sweets' handmade caramels will come in handy for a hostess gift or a 'just because' treat. Available in a traditional plain butter caramel, and of course a salted variety, there are also versions studded with roasted pecans, or wrapped around a dried cherry. Each flavor comes in a colorful wax paper wrap, hand-twisted by caramel master John Linstrom, who is staying busy during his retirement by running the business and cooking the caramels according to his wife Jean's recipe in small batches right here in Spokane. You can find Moon Creek caramels at Garland Mercantile at 823 W. Garland, or at buygourmetcaramels.com.